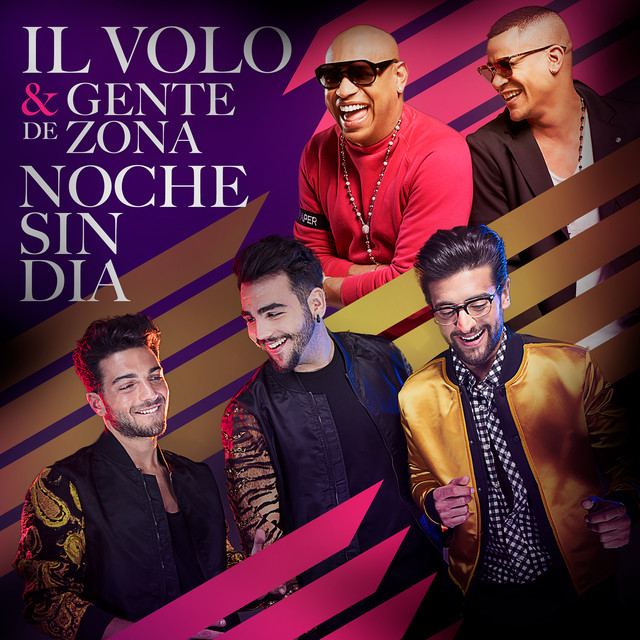 We all still have in our eyes and ears the beautiful concert of Marostica, yet the next day, Piero Ignazio and Gianluca, flew to Miami because they were guests at the PREMIOS JUVENTUD, a prize for Latin music. Here they are at the rehearsals of the show. Guys, what a bomb …… but they are the same guys who two days ago were singing BACK TO SURRIENTO ????? It is always them, what rhythm, what clothing, show all their youth, but do not lose their class, their style. Also this is IL VOLO, how many artists, so young can change from one genre to another in such a short time? They can, because they are chameleonic, unique. They do not reuse their old style, this is another style and they can do it. Bravissimi in this version where there are only them to sing, IL VOLO, we are happier if we see our loved ones more. But it’s time to come back, the Cervia concert awaits you, Italy awaits you. What do you say about the new look and the new sound? They are always our dear boys in a version a little more light-hearted. I like it too, and you? Wow, new music, new look, new energy, still classy. Our young boys have grown up and stepped out of the box of poplyrico music. They are having the time of their lives and they are taking us along for the ride. Enjoy the journey everyone, I know I am. Spectacular, but always tastefully and never transgressive. I really like all their facets that can show us. I hope that they will again preform in New England, but not in the wintetr. They sang last and were the best act of the evening. I get the Latin channels so watched for hours to be sure I did not miss them. The boys were THE ACT of the evening. I want to hear them no matter what they sing. Isn’t the saying “save the best for last”? And they certainly were that. Their versatility, talent and total charming personalities are what I love most about them . They commanded the stage in Miami as well as Cervia and Marostica. Whatever they chose to sing I know it will be great. Janet, it’s true, their versatility is fantastic, how many artists could do the same? They adapt to any song and tastes of various ages. Gina, they were the icing on the cake, and it was a good cake, but icing was great !! What patience you’ve waited all that time just to see them. Daniella, Thank You for your letters on IlVolo. Just wanted to know if you have the opportunity to ask them to insert into their music two songs. These are both Italian and O So beautiful. The first is Con te Petiro And also Al Di La. these men would surely do beautiful music with these. Bocelli, Pavarotti and Italian music artist have sang these. To hear Piero, Ignacio, and Gianlucca sing them would be the ultimate..Thank You Daniella, your writings are par excellent. God Bless you please suggest these to Il Volo. Hi Rose Marie, there is album by Ricardo Montaner that has the song Al Di La . Il Volo sings it with him. It was recorded in 2014. You can find it on YouTube also. Enjoy! RoseMarie, Thank you, I did not know there was a song by IL VOLO which is called Al Di La, sung with Ricardo Montaner. It is not the same song I was referring to, but they have the same title. Cynthia, Yep, that’s the one. Rose Marie Lomonte, first of all thanks for the compliments. Second thing, I believe that Con Te Partirò, Il Volo can not do it because I think it is an exclusive of Bocelli. When I read Al di là, I thought you were referring to Luciano Taioli’s song, which is really a beautiful poem. I think that would be beautiful interpreted by IL VOLO. Poor Barbara, I think she looks exhausted. Penina, Barbara seems tired, but think of the others who still have to sing in Cervia! Somehow they seem to have energy to spare! I don’t know how they do it, and they never disappoint! I did’nt even recognize her until Loretta mentioned her name. Ciao Loretta, Il Volo unleashes energy. From time to time, look at Facebook messages. I still think the holes in Gianluca’s pants look absolutely ridiculous-I just don’t get it! I’m with you Mark–I can’t stand those jeans. He obviously thinks they look “trendy” or “with it” but I think they look contrived, and as you say ridiculous. Can’t say I like Piero’s suit either! Mark and Penina, I absolutely agree with you. Unfortunately here in Italy, many young people are dressed like that, but this does not justify the fact that they are ridiculous. Thank you so much Daniela for the videos photos and ALL you post to keep us in touch with our special guys – you are amazing! I love all the new music the new looks and the high energy and pure happiness our boys feel with this change of direction. They look so comfortable and really look like they are enjoying themselves & having fun – they are young and this is their time. I say let’s follow their lead and support and be with them on this wonderful new ride. I know they will always stay true to themselves. I am happy for them and they are growing professionally – I know they will continue to make us proud! 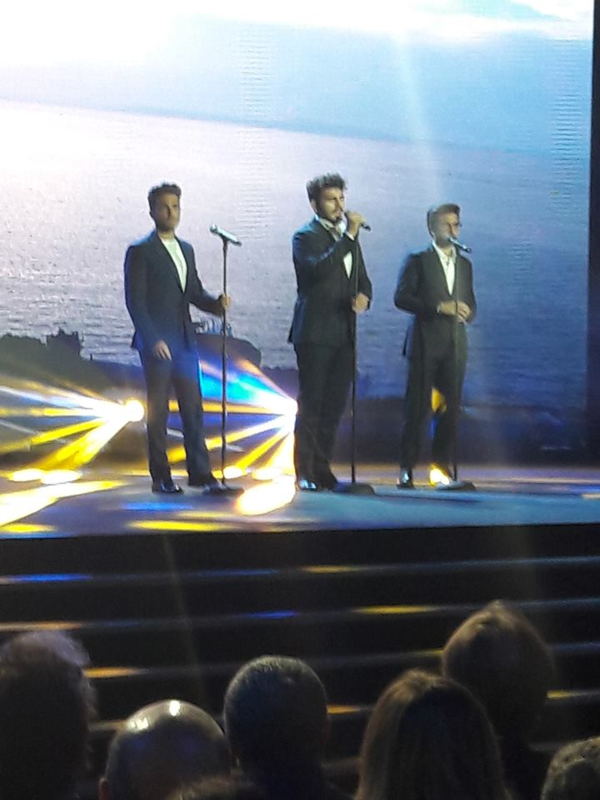 Thanks Margaret, I see you are taking the “Latin moment” of IL VOLO, in the right way. They will never forget their style and their beautiful repertoire, but they can not be closed to that alone, they can do more, and we must support them. Yes Daniela you are right that is the way I feel. Our guys might try different singing styles, different clothing styles but I know they will never change their devotion to their fans – they will always stay true to themselves while always remembering all their special and dedicated Il Volo fans – we all know how kind considerate caring and loving young gentleman they are and that will never change. The best way to learn about Miami when visiting the first time is to get on a Tour Bus. Try Open Miami’s Panoramic Bus Tour. Very unique and cool tour that features a fully retractable rooftop in a modern bus. Very spacious, free WiFi and funny yet very experienced tour guides. Tour travels the most visit and scenic areas in Miami and Miami Beach.